Chipmaker giant Intel recently announced its new version of NUC at the CES 2018, which it claims to be the world’s smallest VR-capable computer ever at just 1.2 litres in volume (221 x 142 x 39 mm). 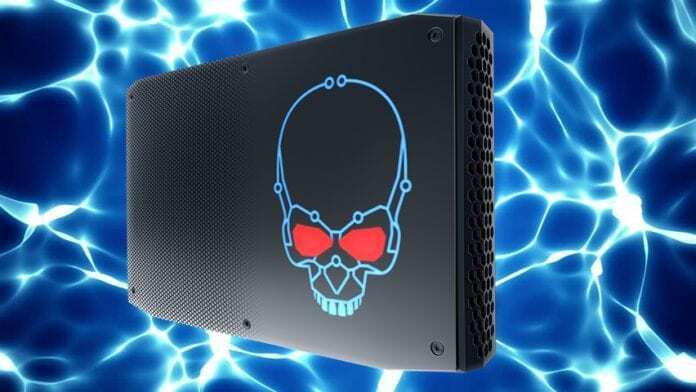 Codenamed ‘Hades Canyon’, the new Intel NUC comes in two versions, the NUC8i7HVK and the NUC8i7HNK and is packed with Intel’s new 8th-gen core i7 processor with Radeon RX Vega Graphics. They can be used with Windows MR (mixed reality) headset or any other VR (virtual reality) devices like the Oculus Rift or HTC Vive. “Great for VR enthusiasts and workload-heavy content creators, it will be Intel’s smallest premium VR-capable system in the market,” Intel said. The NUC8i7HVK comes with Radeon RX Vega M GH graphics along with a 100W quad-core 8th generation Intel Core i7-8809G CPU clocked at 3.1GHz and 4.2GHz turbo mode, according to a blog post by Intel. The Radeon RX Vega graphics processor can operate from 1,063MHz to 1,190MHz and is “unlocked and VR-capable”. On the other hand, the NUC8i7HNK comes with Radeon RX Vega M GL graphics processor along with a 65W quad-core 8th generation Intel Core i7-8705G CPU again clocked at 3.1GHz and 4.1GHz turbo mode. Further, the GPU has an operating range of 931MHz to 1,011MHz. The new Intel NUCs come with a plethora of ports, which includes two Thunderbolt 3 USB-C ports on the rear, supported by a USB 3.1 port on the front, five USB 3.0 ports (four on the back and one on the front), two USB 2.0 ports, two gigabit Ethernet ports for connectivity, USB Type-C, two Mini DisplayPorts, and two HDMI ports. While the NUC8i7HVK will cost $999, the NUC8i7HNK is expected to cost $799 and should be available by spring 2018. The NUC8i7HNK will be available first with the VR-ready NUC8i7HVK following a few weeks later. The device will also be sold as a DIY kit with storage, which means you need to add your own RAM (you can fit up to 32GB of RAM, as per the specs) and accessories.